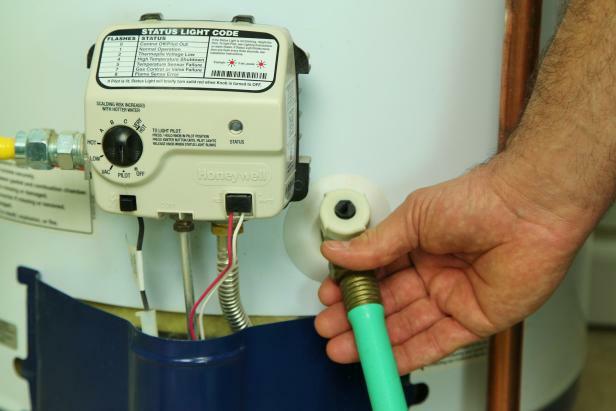 How long should my water heater last? And is there anything I can do so it will last even longer? You can expect your water heater to last about 10 years, the average lifespan is 8-12 years here in Utah. However, there are many factors that can play into your water heater life expectancy. Over time natural mineral deposits such as sand and grit from water lines can settle in the bottom of the tank creating sediment build-up. 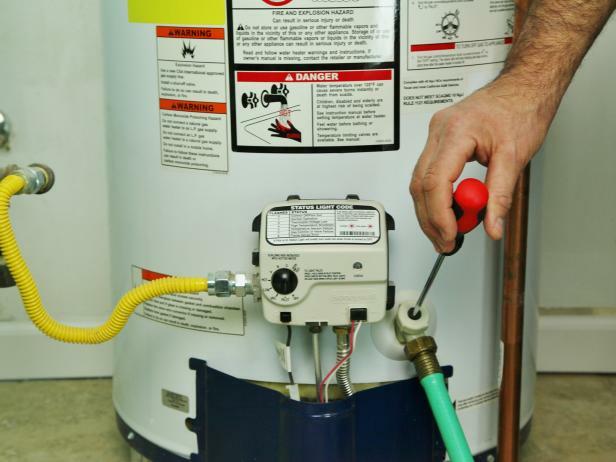 This build-up in your water heater can reduce the capacity as well as the efficiency of your water heater. Also, it can plug the drain to the unit and interfere with regular maintenance which can cause earlier failure. 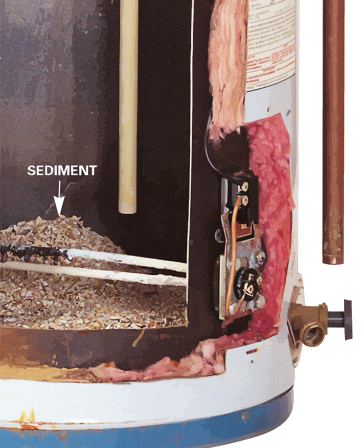 Additionally, sediment can interfere with the burner in a gas water heater and can cause cracking and popping noises during heating cycles. The amount of mineral build up will vary depending on your water quality conditions. 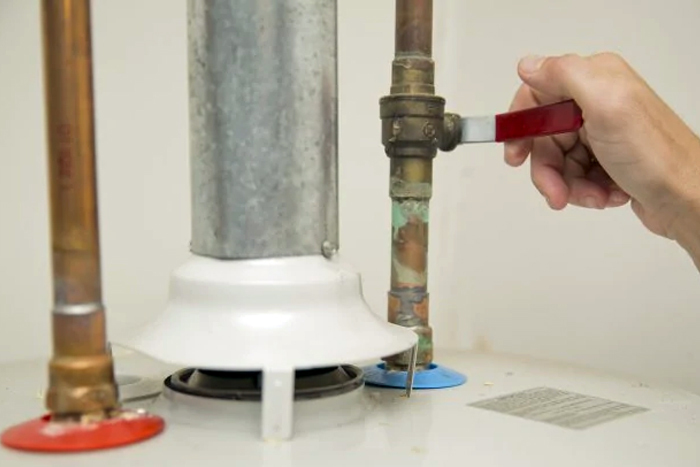 Sediment in your water heater is pretty much unavoidable and is caused by the water conditions and the heating transfer process from the water heater. The best way to keep sediment from building up in your water heater tank is to do an annual flushing. By flushing your unit every year, you can minimize the amount of sediment in your unit and can actually extend the life of your water heater by quite a few years. 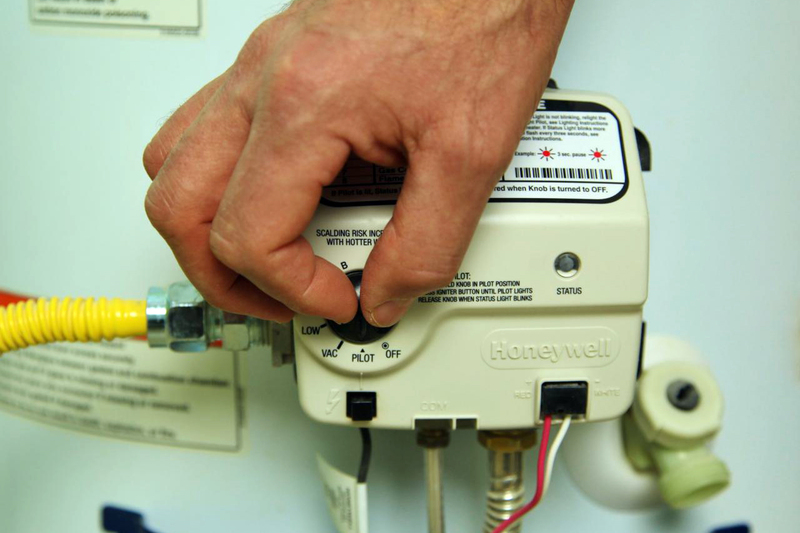 You will need to find the cold water supply valve on your water heater and turn it off. It will usually be located at the top of the unit. For a gas water heater, turn the thermostat to the “pilot” or “vacation” setting. If you have an electric water heater, you will turn off the electricity for the water heater by flipping the switch in your breaker box that is connected to it. Most circuit breakers have a switch directly dedicated to the water heater so it shouldn't be hard to find. Remember that even though you have turned off the water heater, the water in the tank can stay at scalding temps for hours. You can wait overnight for the water to cool down before you proceed with the flush. 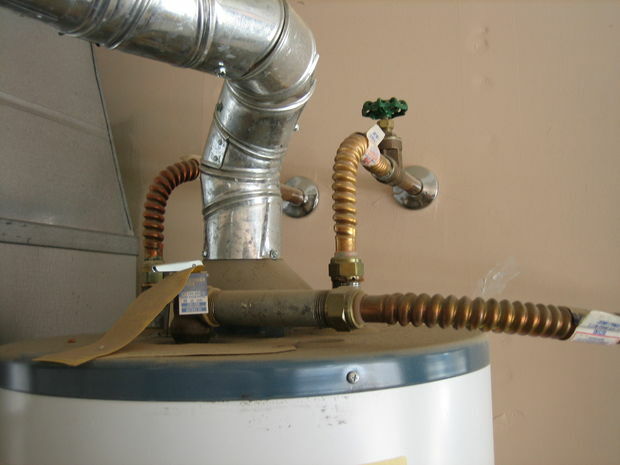 Locate the tank drain valve near the bottom of the water heater tank. Attach a standard garden hose to the valve. Please be aware that some water heater models have a cover over the valve opening. Next, you will place the opposite end of the garden hose in a floor drain or in a bucket where the water can drain efficiently. 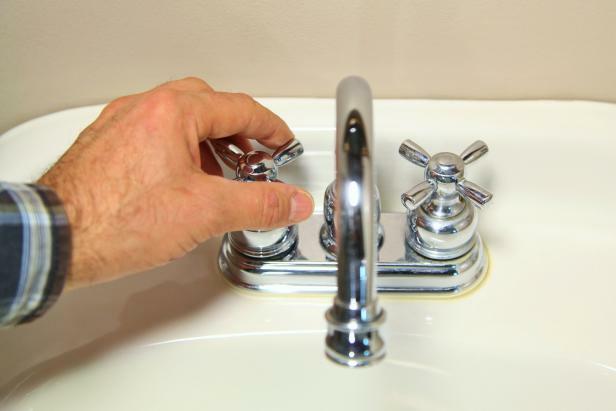 For best results, you need to open a hot water tap, preferably a floor above the hot water heater. This provides a way for the pressure to alleviate in the system and allows the water to drain quickly from the tank. Allow the water to drain from the tank by opening the drain valve. Usually, there is a slot on the valve and you will need to use a flathead screwdriver to turn it clockwise. This begins the drain process. Look at the water that is coming out of your tank to see if there’s a lot of sediment or it’s a rusty color. Once all water has drained from the tank, turn the cold water supply on to the tank for a brief moment. This will stir up any remaining sediment that needs to be drained. You will want to repeat this step until all your water runs clear. In some cases, sediment may block the opening of the drain valve, limiting the flow of water. If this happens it’s best to call in an expert for help. Once you see clear running water, you can now close the drain valve and remove the garden hose. Turn back on the cold water supply and the tank will begin to fill. You will also need to go back to the hot water tap, opened earlier, and wait for cold water to begin to flow. Once you feel cold water, you can turn that tap off. The final step is to turn the gas valve back on from the pilot position or turn the electricity back on to the tank. Be sure to check the valve opening once it’s closed to ensure there are no water leaks. If you do not feel comfortable with this process, you can always call Any Hour Services to come flush your water heater. Either way, you choose to service it, it is important for you to do it regularly to flush out the sediment!